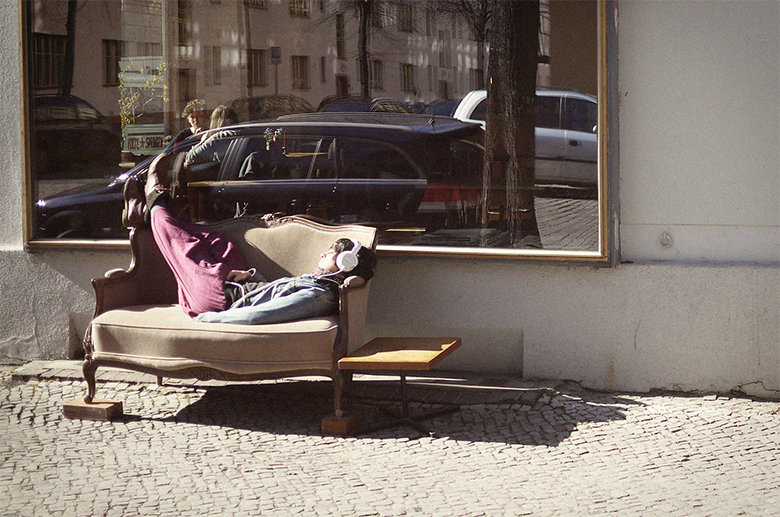 A selection of photos from and about Neukölln which are part of the KiezExplorer iPhone App. 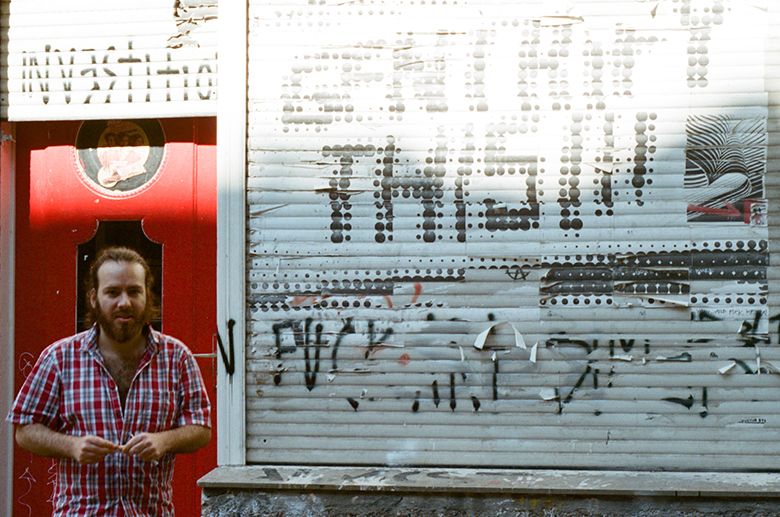 All photos were taken between September 2010 and April 2012. 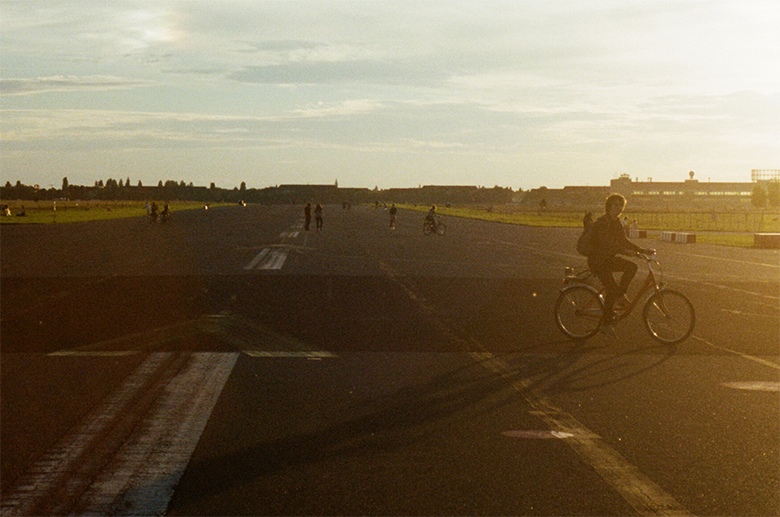 Liberated airfield at Tempelhofer Park. 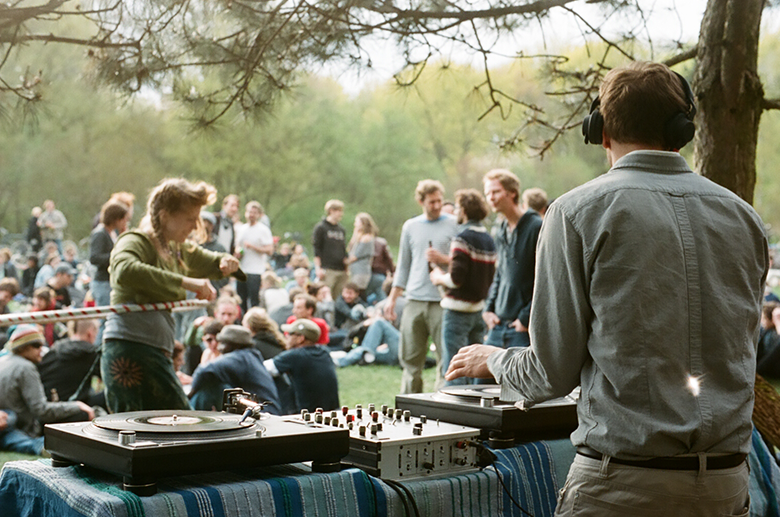 Semi-legal DJ Set at the Hasenheide. 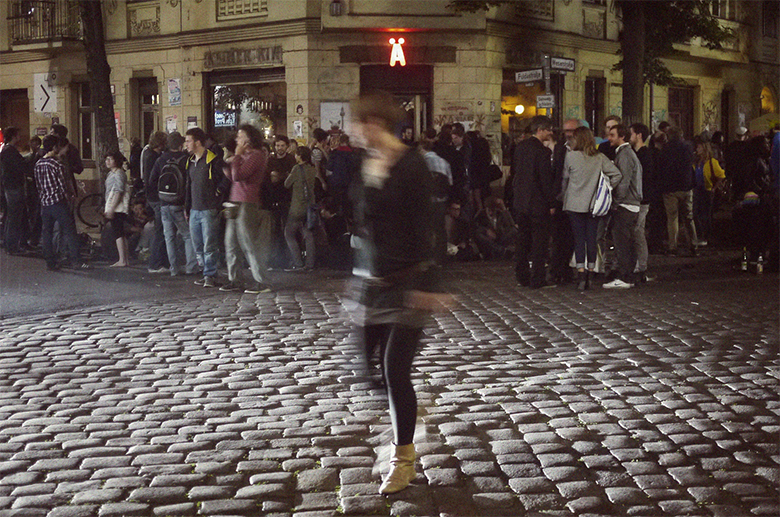 Weserstraße is Neukölln's main nightlife area. 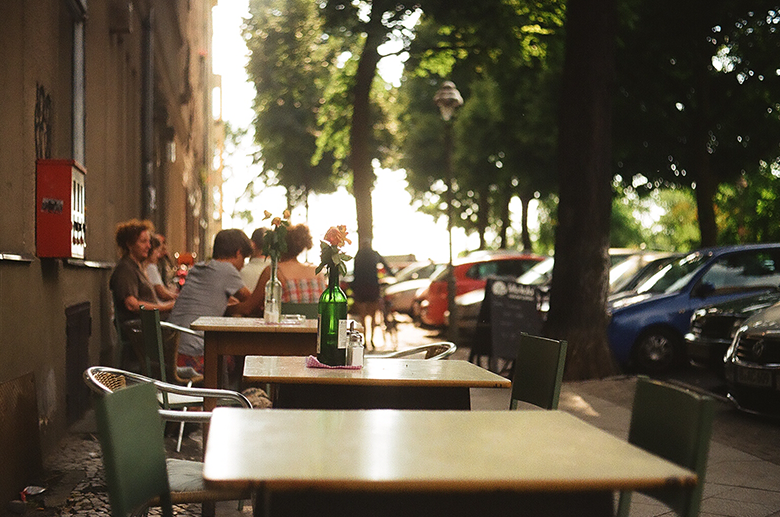 The Fuchs & Elster is a café during the day and turns into a club at night. 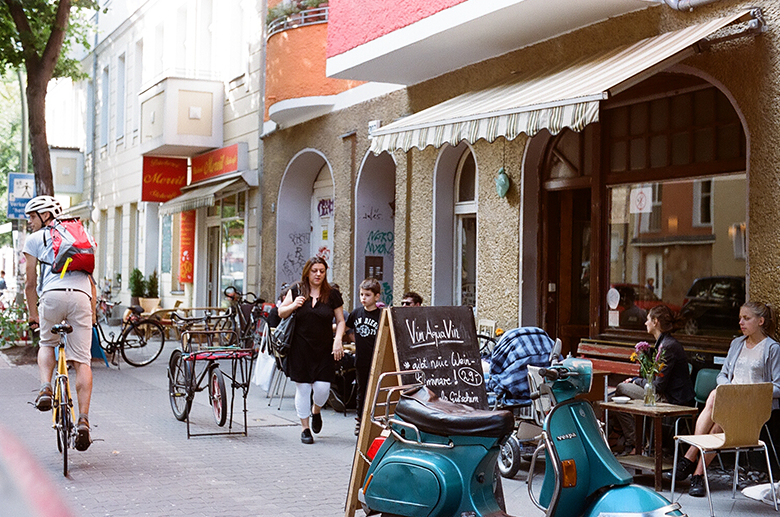 Located immediately next to Tempelhofer Park, Café Engels invites you with its Mediterranean atmosphere. 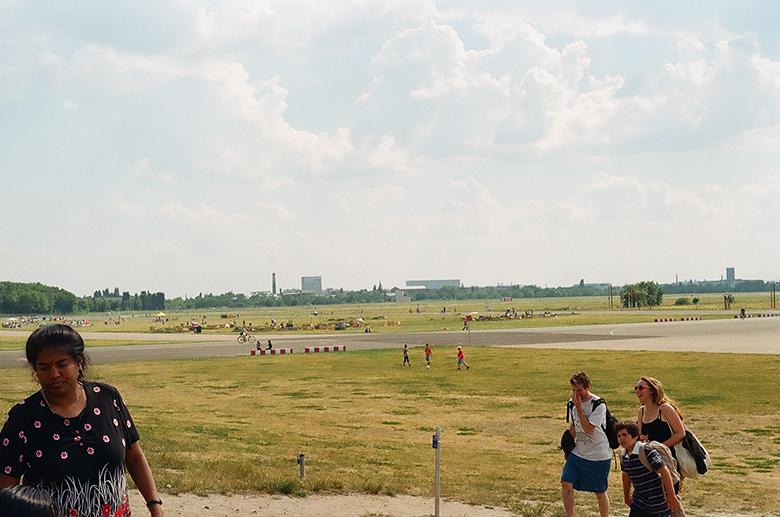 Seemingly endless green areas around the Flugfeld Tempelhof provide enough space for relaxing, barbecues and sports. Photo studio at Weserstraße. Video interview with Brian. 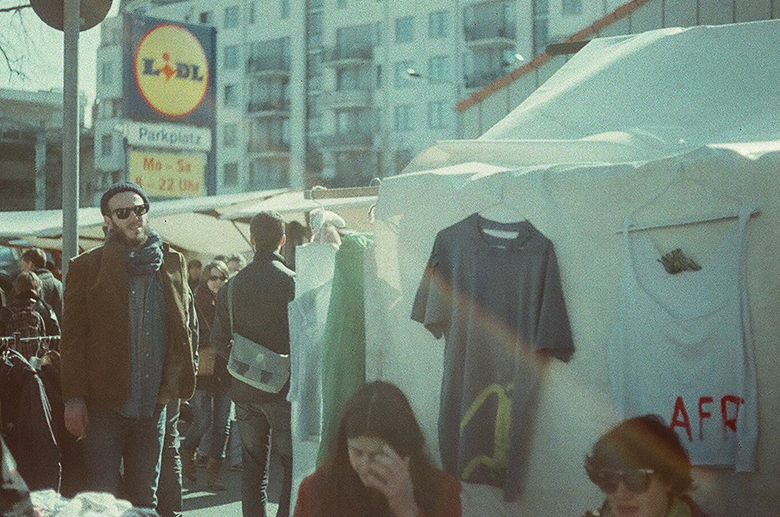 Every first and third sunday the Flowmarkt Nowkölln attracts crowds to the canal bank. The Hasenschänke in the middle of the Hasenheide. Good prices, very down-to-earth, a quiet great tavern. 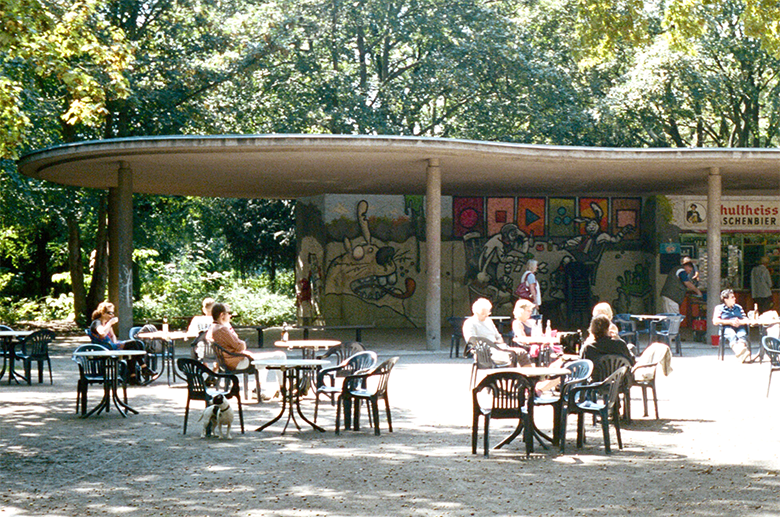 The Ä at Weserstraße celebrates the alternative life. 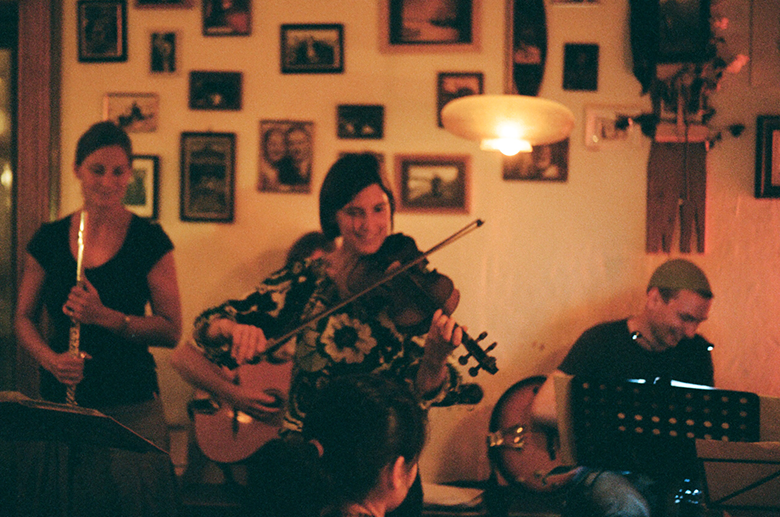 Circus Lemke is a bar which attracts many people with its living room-like atmosphere. 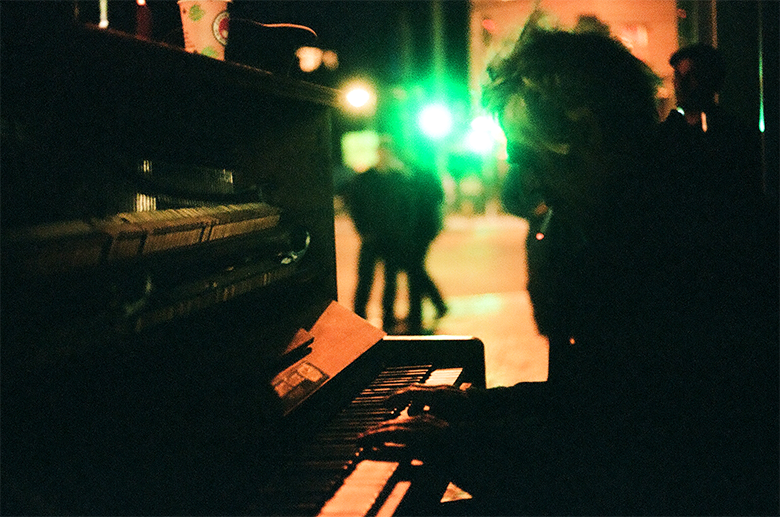 Piano maker Helmut makes the rounds with his piano at Landwehrkanal. 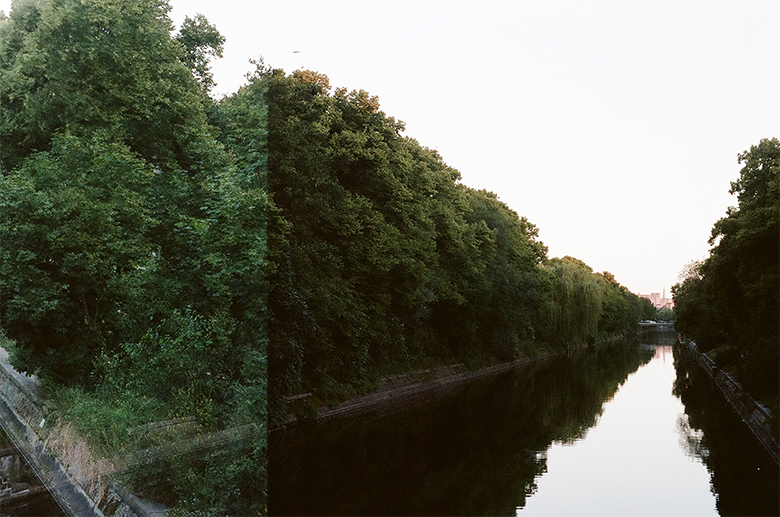 The Landwehrkanal early in the morning, double exposed. In the evening a popular gathering area to enjoy the evening sun. 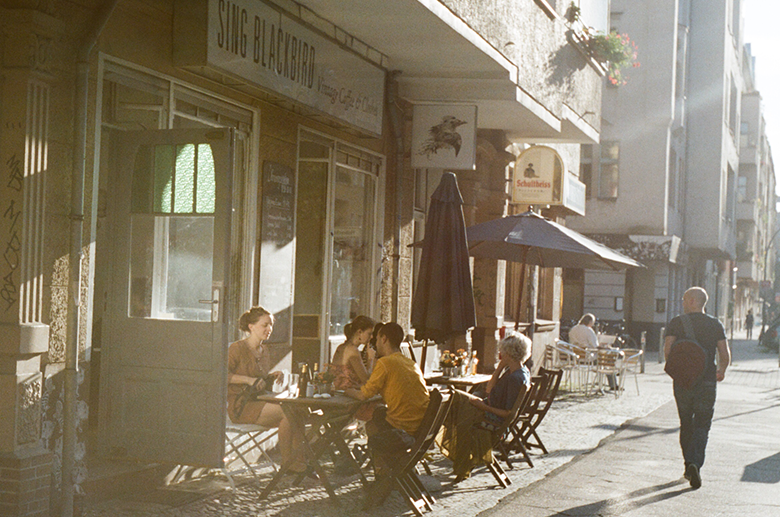 Sundays in Neukölln usually start at slow pace. Relaxing in front of Nathanja & Heinrich at Reuterkiez. The sunday brunch at Sing Blackbird is the haunt of the fashion scene.